It’s been a hot summer with many temperature records broken all over the country. In fact, this year is the hottest on record in the US, even beating records set during the Dust Bowl. The very hot summer in collaboration with the mild winter and early spring seems to have contributed to a spike in reported cases of West Nile virus. 2012 already has the highest number of cases of WNV disease reported to the CDC since the virus was first detected in the US in 1999. 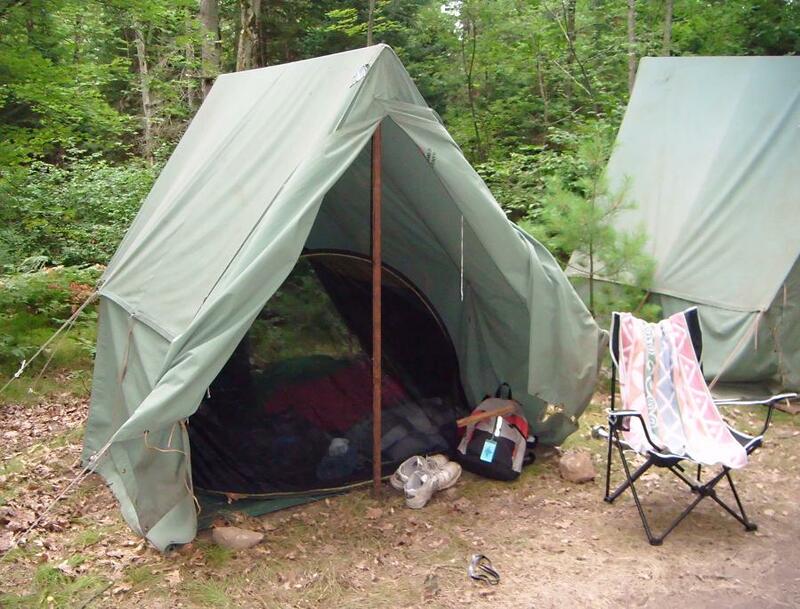 Mark, who accompanied his son to scout camp, sent this pic of a SansBug III in a canvas tent: “The canvas tent was basically used as a rain cover for the SansBug III. I did not stake the left side of the tent so I could have room to get into the tent from the side… The SansBug was easy to setup and take down. I really enjoy your product.” The SansBug I can be placed on a cot within a canvas tent. Don’t take a chance… send your scout into the wilderness fully equipped!